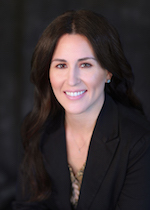 Kate concentrates her practice in labor and employment law and litigation. She has experience representing and counseling both private and public employers on a broad range of labor and employment matters. Kate defends and counsels employers in matters involving discrimination, harassment, retaliation, wage and hour issues, employment-related torts, employee leave, disability accommodations, drug testing, trade secret misappropriation, restrictive covenants, employment agreements, unfair labor practices, plant closures and layoffs, and other employment matters. Kate has experience representing employers in both state and federal court, in mediation and arbitration, and before state and federal administrative agencies, including the Equal Employment Opportunity Commission, Arizona Civil Rights Division, Department of Labor, and National Labor Relations Board. Kate routinely drafts comprehensive employer policies, employment handbooks, employment agreements, restrictive covenants, and severance agreements. She also has experience conducting investigations into claims of employment discrimination and harassment in the workplace, and has provided preventative training aimed at helping employers avoid such claims. Prior to joining BurnsBarton, Kate served as Deputy General Counsel to Arizona Governor Douglas A. Ducey (2015-2017), practiced in the labor and employment section of Snell & Wilmer, LLP (2006-2007, 2008-2015), and clerked for Arizona Supreme Court Justice Michael D. Ryan (2007-2008).